Ham has always been a favorite food of mine. The mom in me loves that right now I can stock up when it’s on sale and it can be made into different meals later in the week as leftovers. It’s a great idea to buy a couple right now while they are on sale and freeze them for later in the year to make for a big dinner. A couple years ago I discovered Crock Pot Ham. The best part it is super easy to make! Spray your crockpot with nonstick spray. Using toothpicks stick the pineapple slices to the ham and if you want to pour in the juice to the bottom of the pan for more flavor. Cook on low 4-6 hours and remove to serve. What is your favorite way to cook ham? Spray your crock pot with nonstick spray. Using toothpicks stick the pineapple slices to the ham and if you want pour in the juice to the bottom of the pan. I havent had ham in ages, mostly because its such a pain to prepare. However, I think I can totally handle this recipe! Is this a pre cook ham or raw ham???? Mine was a pre cook spiral. I am skipping the spiral next time it was a bit hard to remove from the crock. For a pre-sliced ham, use butchers twine to tie and will eliminate the problem you experienced. I use brown sugar, mixed with the pineapple is that also ok? Oh that sounds like a great variation! I love ham but I only tend to cook it twice a year at Easter and Christmas. This post has my mouth watering for some this weekend. Thanks for sharing. This recipe looks delicious. What type of ham did you use?? Was it a smoked ham or a raw ham?? Thank you so much. It was a precooked spiral ham with some smoke flavoring. I would recommend a non spiral ham it proved to be difficult to remove from the crock pot cause of the slices. I love ham, but I only eat it a couple of times during the year. Usually just on holidays. Yummy! One of my favorites + super easy = I’m doing this! Thanks! love your recipes. I was wondering if you have a good recipe for cornbeef. Thank you. This is a great way to cook the ham but I mix coke, brown sugar, and mustard together and pour over the ham, taste wonderful! How much coke do you use? That sounds great! I am going to cook my ham this way, great idea, thanks. I’m totally going to do this. My crockpot is my best friend in the kitchen. Sometimes I have several going at one time. Looks delicious. What a great recipe! I must try! That’s the only way I’ll make ham now, is in the crockpot. It’s so much easier than making it in the oven. I have never cooked a ham in the crock pot, but I am going to try this for Easter. Thanks for sharing! I haven’t cooked (or had) cooked ham for ages. Mmm, I can almost taste the delicious combination of the sweet pineapple with the salty ham. Yum! This just might be our Easter dinner! This looks like a delicious ham! Love that this is a crock pot recipe! I use my crockpot for EVERYTHING! I’m definitely trying this out! thanks so much for sharing at Merry Monday! We’re planning on ham for our family Easter celebration, so we’ll give this recipe a try. We haven’t had ham for a while and this is a good suggestion for Thanksgiving to go alone with the turkey. I love ham! Sounds amazing with the pineapple and so hassle free too! I love the idea of ham in the crockpot, that way your oven is freed up for other things. Sounds delicious and I’m already thinking of Christmas ham! Thank you for sharing! Yummy and oh so easy. I love my crock pot. So much fun cruising recipes. Next time ham is on sale this is happening! easy and delicious, SCORE! This looks phenomenal and so easy! I have made your recipe and it is delicious. I will never make ham any other way. Sounds like a great crockpot recipe. I also appreciate that you included ways to use up leftovers. I always think of Easter has ham season! I love my slow cooker, but I can’t remember ever making a ham in it. Great way to keep it moist! I LOVE ham! Once I saw this slow cooker recipe for it I was a goner! Thanks! Pineapple and ham, yes please! That struck me as funny that the bone stuck up and wouldn’t fit inside the pot with the lid on. Evidently it all worked fine! 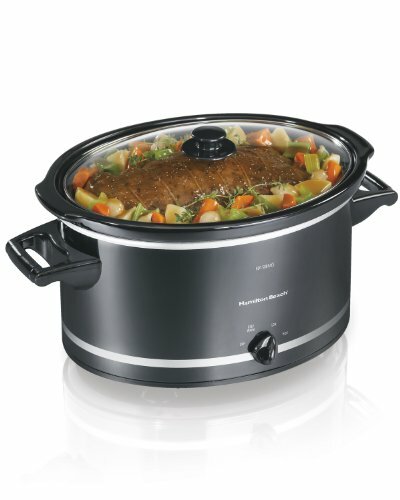 I love the idea of cooking at ham in a crockpot, great idea! I was so ticked when the bone wouldn’t fit!!! It did work out was saved by tin foil on the crock pot for sure!! I never thought about covering the crock pot with foil if the lid doesn’t fit! I love ham with pineapple—but I never thought to cook it in the crock pot! What a great idea! Great recipe and easy . I am all for easy. This sounds very intriguing. I’m always looking for a simpler way to prepare ham.